The Punjab Group of Colleges, therefore, submitted a petition to the Government of Punjab, in August 1996, for establishing a university in the province. A No Objection Certificate was issued in October 1999. 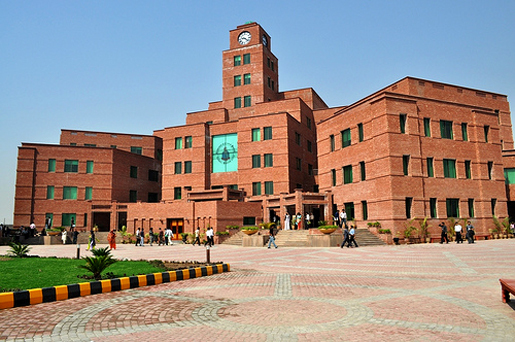 The charter to establish the University of Central Punjab admission was awarded in April 2002. Thus this institute clinched the distinction of becoming the first private sector UCP Lahore in Punjab which acquired the status of degree­-awarding institution. Each year, some of the brightest and most talented students from around Pakistan come to UCP Lahore. They are intelligent and motivated young men and women, and have what it takes to contribute to the world and be successful. If you are committed to getting the most out of your higher studies and are looking for a quality educational experience with state-of-the-art facilities and cutting-edge technology, this is the place for you. The conviction that our students can and should make a difference in the world. Thanks for visiting our site which is compatible of Universities enrollment and details. We provide the best information about university Admission 2018. What a date for admission open now. what is the fee structure of the 1 1/2 year MBA program? What’s the date for admission in bs programs? You will submitting your application form on these dates. whts di date for mba programs? Can we apply after Inter results? You have only apply at the admission date of the university. UCP is offering programme of MS (finance)?? This university has offering MS Management Science.This course is not offering by the university. when the classes of mcom starts? bs cmputr science ky next admision kb ho rhy hain?plz reply me as early as possible. sir can you tell me how much fee of m.com program in 2013 and also addmission date………? what is the fee structure of ucp business school? You want to know about the fee structure of which course. sir kya ucp msc physics krwati ha? UCP not offered MSc Physics. Yes, UCP offered scholarship for Punjab College Students. Dear, BS Maths is not offered by UCP. do you provide hostel fascility ? Yes, University offered hostel facilities. If you want to apply for MSCS then you must have 2.00 CGPA/4.00. Yes, GAT Test required for admission in UCP. UCP only offered MSCS not offered MSSE. You download admission form pay bank draft and sent to the university. Fee Structure should be mentioned with detail in prospectus. what is the fee structr of D PHARMACY???? ?what about admission criteria? ?is there any merit for d pharmacy? M in saudia so can i get admission in sept?? When you come in sept then confirmed this from the university. Because admission date should be extended time to time. what is the last date of admission in mba????? please tell me the last date of admission in mba or BBA? Last Date of Form Submission 10 Sep 2014 for BBA and MBA. You appear for admission in Pharmacy. Get admission form and apply for admissions. Last Date of Form Submission 10 Sep.
Last Date of Form Submission 10 Sep. You must have 60% marks in FSC for applying admission in UCP. Yes, you apply for admission in Civl Engineering. You get admission form from Punjab Colleges and main campus. Last Date of Form Submission 10 Sep.
Fee Structure is updated in the prospectus. bs aplied psychology k admin open hogay?? Admission will open till 17 Sep. Admission will be open till 17 Sep.
can j aplly fr bs aplied psycholoy?//? You contact to university admission cell for this query. Admission for BBA are still open or closed please kindly tell me as soon as possible. You visit Admission Cell if you want apart from this 19 Sep is the last date of registration. Sir js ny bsc ki ho 2 year with subjects math physics computers .. Toh kyaa wo eligible ha msc electrical k liyy in ucp ? Agr hai toh fee structure kyaa ha for msc electrical . No, if you want to apply for MSc Electrical Engineering then you must have BS Electrical Engineering. Fee Structure is updated on the prospectus. Dear, you call in admission cell of the university. Then college will inform you in detail regarding your admission. What is the criteria for MBA? 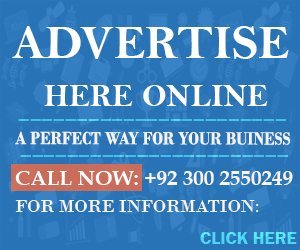 For Admission in MBA you must have pass BBA, BA with minimum 50% marks. University will offered scholarship to the needy students. You will get scholarship Form and apply for scholarship. For scholarship query you will contact to Admission Cell. When admission announced for MSCS then we have updated on the website. sir kindly inform me about fee structure of ucp for bsc engneering of 4 years…??? and kindly inform tha does it offers pertoleum engneering??? and does the engneering of ucp is afflicated by pakistan engneering council??? ?